Today we were carpet cleaning pet stains in San Clemente. We were called today for a last minute carpet cleaning pet stains in San Clemente today. A customer was expecting company today and has called in for last minute cleaning. This carpet is over 15 years old and gets traffic from 5 people and 2 dogs every day. After 5 years of not cleaning the carpet it had really lost its life. However, after a few recent pet accidents on the carpet, the odor around the house has to be addressed. 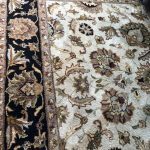 Therefore, we arrived to the job today in order to give it all we got and make the stay of the guests that much more pleasant.Please take a look at the carpet before and after. 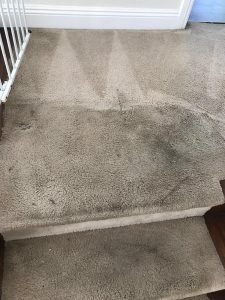 Carpet cleaning pet stains in San Clemente is not unique. 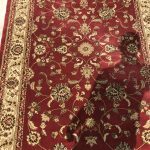 Although this carpet maye seem to you as it is truly in bad shape and its time to replace it. However, we carpet clean carpets like that every day around Orange County. 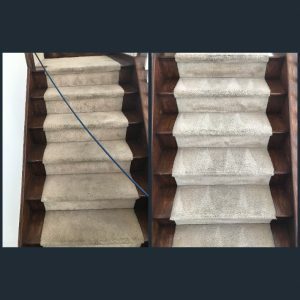 It happens often that customers do not have the time or the ability to replace or clean their carpet for a variety of reasons. Therefore, when they do decide to give the carpet another clean, they choose us. We use strong carpet cleaning formulas. Over the years we came to conclusion the with the right machinary and the best products, the results are second to non. Therefore, based on the strength of our truck mount carpet cleaning units, we allow ourselves to do more. 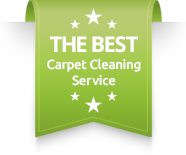 What does that mean?We not only use the best carpet cleaning products, but we also use a good amount on your carpet. We believe in spotting the entire carpet if necessary and that takes a lot of products. That is why when customers face a rough looking carpet, they choose Dr. 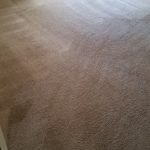 Carpet Irvine for the job.For more information about our services, please contact Dr. Carpet Irvine.